"Building of the Year in Sweden" (2019), the most important award ceremony of the Swedish construction industry, took place in Stockholm on 26th of March. Each year, hundreds of building projects are submitted to the competition, with only 20 making it to the final round. 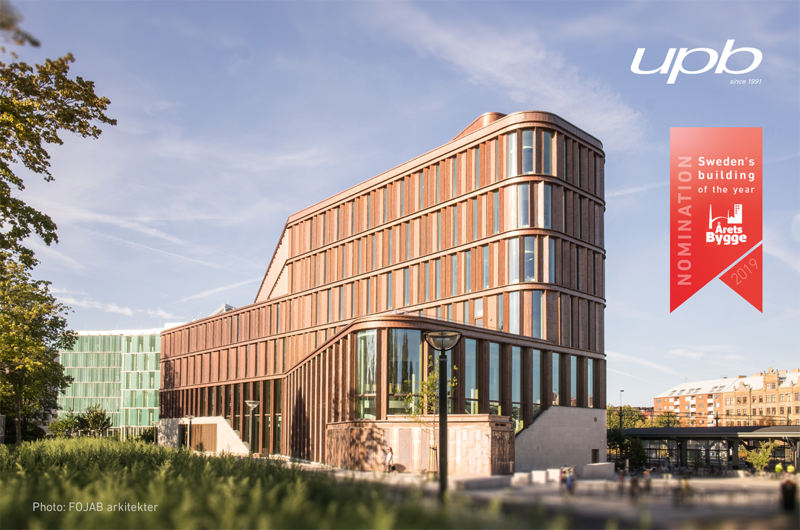 This year, the court house Tingsratten, built by UPB, reached the final round of the prestigious Swedish annual award. The Courthouse building in Lund, Sweden, is an outstanding example of green building. During the construction process and the selection of materials, particular attention was paid to the sustainability and environmental performance of the building. All the materials used in the construction had to comply with the highest standard of the Swedish construction material evaluation system Sunda Hus. It set a high bar for everyone involved. Thanks to this, the work towards sustainability resulted in the Miljöbyggnad Guld (gold) certificate for the building. UPB carried out the designing, manufacturing, delivery and assembly of the reinforced concrete and metal structures for the project. One of the most significant challenges was the placement of curved metal beams in nearly every corner of the building. Such constructions pose additional challenges during the design, production and assembly stages. During the project, close cooperation between all involved parties was maintained. Regular meetings at the construction site with the architects, the customer and the suppliers, constructively designed schemes and continuous mutual communication were key to the fortune and success of this project. Thanks to everyone who participated in the project!